These policies do not necessarily make us better off, can hurt small entrepreneurs, and encourage food waste. Food regulation is a necessary function of government. Rules mandating food safety and preventing fraud in food sales and marketing exist — as they should — at all levels of government. Today, however, there are simply too many. In recent years, the expense and scope of food regulation in this country have grown far beyond anything seen before. The costs, impact, and many unintended negative consequences call out for both concern and reevaluation of our regulatory priorities when it comes to food. Consider, first, the staggering price tag. The US Department of Agriculture, for example, could spend as much as $30 billion in subsidies annually by 2018 to support farmers who grow crops like corn and soybeans — a nearly 100 percent increase from 2012. The federal government spends billions more to support a host of other agricultural businesses, including those who produce milk and cheese and who raise pork, poultry, and beef. Similar aid to sugar producers costs consumers an estimated $4 billion each year. When regulations aren’t promoting certain foods, they’re often erecting barriers for those who make other foods. For example, the smallest farmers subject to the Food Safety Modernization Act, the FDA’s new food-safety rules — including those with just $25,000 in annual sales, rather than profits — could be forced to pay nearly $5,000 to comply with the law. These rules, the FDA’s first real foray into regulating the nation’s farms, could discourage many farmers from even getting started thanks to the fact that these additional compliance costs could eat up nearly 20 percent of their total sales. Even some rules ostensibly targeting large food corporations hurt small food entrepreneurs. New federal menu-labeling rules, intended to help consumers choose foods with fewer calories, will cost thousands of individual pizza franchise owners nearly $5,000 per year. This is true despite the fact that most customers never set foot in the pizza seller’s location and, consequently, never see the costly new signage. Punitive soda taxes, including one adopted by Berkeley, Calif., voters, also have an outsized impact on small businesses like convenience stores. The farmers, pizza shop owners, and others affected by these and other regulatory barriers have no choice but to pass their increased compliance costs on to consumers. Yet surely these new regulations will mean much safer food and a healthier population? Not necessarily. For example, the FDA estimates FSMA rules for farmers will make food only up to 3 percent safer. The agency’s menu labeling rules will have to overcome the fact that some research has shown providing consumers with calorie counts on food menus encourages people to eat more — rather than fewer — calories. And USDA farm subsidies, mushrooming even during a period of record farm profits, have been blamed for a host of ills ranging from obesity to environmental degradation to consolidation of farming into the hands of fewer and fewer farmers. Food waste — the loss or destruction of edible food produced or obtained for human consumption — is perhaps the most pervasive and outrageous unintended consequence of many food regulations. Americans currently waste 133 billion pounds of food each year. About 40 percent of all food — and about 10 percent of the money American consumers spend on food — goes to waste. Regulations are responsible for creating a significant portion of that waste. The USDA National School Lunch Program, for instance, wastes countless tons of food. That number has grown in recent years thanks to changes in the food served by the program. 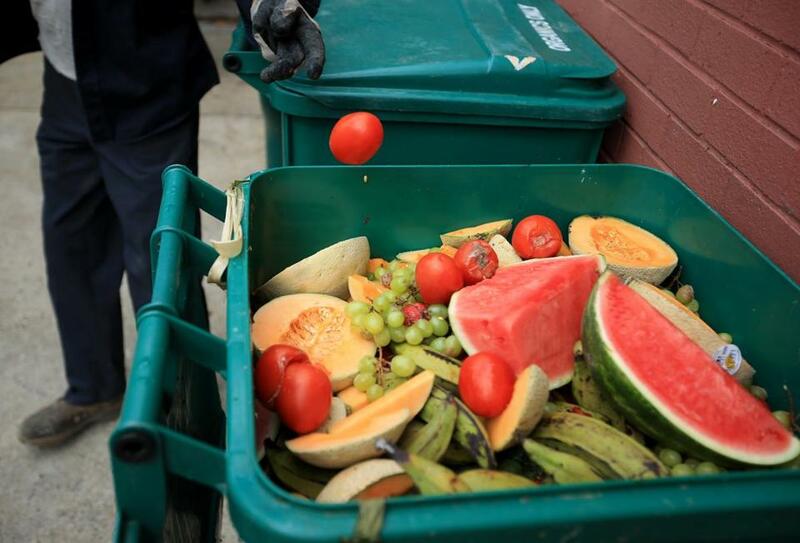 One report found that more than $18 million worth of food now goes to waste annually in Los Angeles public schools. A study found that more than 96 percent of all salad and 94 percent of all unflavored milk served to one cohort of students in a Maryland school ended up in the garbage. Another study found that 89 percent of the fruits and vegetables mandated under recent school lunch reforms — nearly $5 million worth of fruits and vegetables each day — ends up as food waste. Waste caused by misguided food regulations is also an enormous problem for our oceans. Brian Rothschild of the Center for Sustainable Fisheries in New Bedford argues that fishing rules passed by Congress force 100,000 tons of fish — worth between $300 million and $1.2 billion — to be wasted each year. Other food regulations are more indirect in their unintended effects, even if they are no less dramatic. The FDA’s recent decision to ban many trans fats could have significant ramifications for endangered species like tigers and orangutans in Indonesia’s rain forests, which are being cut down to grow the palm trees that are, in turn, used to produce palm oil, which is set to replace trans fats in many foods. It is important, of course, to remember that some of these very real monetary costs are worth bearing. Regulations to punish the makers of food that sickens or kills people — or to mandate the recall of foods that are found to harbor pathogens — are an excellent use of taxpayer funds. But many food regulations promote some choices and restrict others without making us any better off. The FSMA rules won’t make food measurably safer, but they’ll hurt small farmers. Farm subsidies also hurt small farmers, along with the environment and everyone who eats. Support for sugar growers equates to billions of dollars to promote a food many argue is making Americans fatter. Bad food regulations like these don’t need to be improved. Instead, they should be abolished. Baylen J. Linnekin leads the Keep Food Legal Foundation and teaches a food law and policy seminar at George Mason University Law School. He’s currently writing a book on food, regulation, and sustainability for Island Press.